Drizzle about 1 Tbsp EV olive oil into a large skillet. Over medium heat, sauté the chopped jalapenos until softened. Set aside to cool. 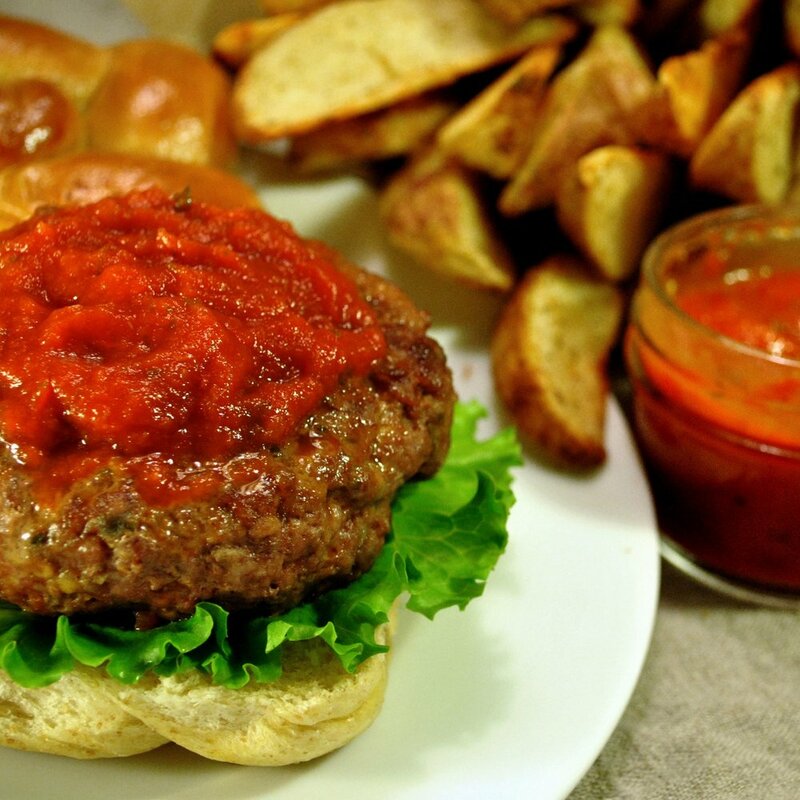 Combine the ground meat with the cheddar, cooled jalapenos, a pinch of sea salt, and 4 tbsp of Spicy Calabrian Sauce. Form into patties. Sprinkle some fresh black pepper on each side. In the same skillet, drizzle about 2 Tbsp EV olive oil, and when hot, place your patties and grill until brown. About 5 min each side for medium rare. If you like them extra crispy, turn them a couple of times. You'll notice the cheese will melt and become crispy. While your burgers rest for about 5 min, toast (optional) the inner side of the rolls before serving. Spread some spicy Tomato Nduja on the bun under crispy romaine lettuce, and top the burger off with a generous dollop of Spicy Calabrian Sauce. Pair with crispy steak fries and enjoy!